but only a few can tell who is the rich. that much reward you will receive! The Atlantis was definitely here; it is not a hoax. Plato wrote about it and his story began to unfold around 355 B.C., which was really long ago. Plato said that the continent had existed in the Atlantic Ocean until its destruction around 10,000 years before. However, Plato's and others' remarks on this "lost continent" do not represent enough knowledge to build a scientifically grounded theory that would prove higher intelligence and technology flourishing there. But people with enough intuition cannot completely throw off this idea. Atlantis and Lemuria – lost continents, or a dreamland of Eden? You ask – Atlantis? What is hidden behind this mysterious word? Did this lost, mythical world really exist? Why has it been covered with so much words, veils of fantasy, half-truths, assumptions, hypotheses, or perhaps truths? Or is it just a pure fabrication that inspires poets, occultists, and a little less conventional scientists? It's hard to tell. Atlantis received a lot of attention and many words were written about it; delusions and disinformation too. However, not only laymen but also few and quite earnest scientists claim that this fabulous world did really exist here some long time ago. Atlantis and its unearthly destruction gave birth to several theories; however, before we start speaking about them, let us look at the historically first recorded note about the existence of this unknown world. Our records show how your city checked a great power, which arrogantly advanced from its base in the Atlantic Ocean to attack the cities of Europe and Asia. For in those days the Atlantic was navigable. There was an island opposite the strait which you call the Pillars of Hercules (Straits of Gibraltar), an island larger than Libya (Africa) and Asia combined; from it travelers could in those days reach the other islands, and from them the whole opposite continent, which surrounds what can truly be called the ocean. For the sea within the strait we were talking about is like a lake with a narrow entrance (the Mediterranean sea); the outer ocean is the real ocean and the land which entirely surrounds it is properly termed continent. On this island of Atlantis had arisen a powerful and remarkable dynasty of kings, who ruled the whole island, and many other islands as well and parts of the continent; in addition it controlled, within the strait, Libya up to the borders of Egypt and Europe as far as Tyrrhenia (Italy). This dynasty, gathering its whole power together, attempted to enslave, at a single stroke, your country and ours and all the territory within the strait. It was then, Solon, that the power and courage and strength of your city became clear for all men to see. Her bravery and military skill were outstanding; she led an alliance of the Greeks, and then when they deserted her and she was forced to fight alone, after running into direst peril, she overcame the invaders and celebrated a victory; she rescued those not yet enslaved from the slavery threatening them, and she generously freed all others living within the Pillars of Hercules. At a later time there were earthquakes and floods of extraordinary violence, and in a single dreadful day and night all your fighting men were swallowed up by the earth, and the island of Atlantis was similarly swallowed up by the sea and vanished; this is why the sea in that area is to this day impassable to navigation, which is hindered by mud just below the surface, the remains of the sunken island. Egyptians said to Solon that Atlantis had been destroyed some 9000 years ago. Thus, if we add 600 years (before Christ) when Solon lived, and 2000 years that have passed from the Christ's birth until today, we will get 11,600 years. 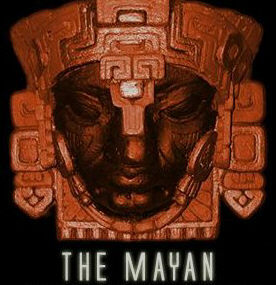 We can also hear about written records of the Aztecs, Mayas, and not only these. There are written records such as Chilam Balam, Dresden Codex, Popol Vuh, Codex Cortesianus – they all indicate that the existence of such an advanced civilization was possible. If we look into the line drawing of the less distant history, Atlantis had always attracted poets, writers, but also occultists or travelers/adventurers. One such author was Francis Bacon, who already in 1626 wrote a very interesting work – New Atlantis, which – at its time – surpassed even subsequent Verne's fantasies. Bacon describes here how a shipwreck crew found some extremely advanced people on an island in the Atlantic Ocean. The inhabitants of this island could "record sounds", they were able to "demonstrate" and "copy" it; they used “engines” for all types of movements; they also had messengers whom they sent to visit the worldly nations and collect information. Readers must be captivated and astonished – the magnetically attractive story could even outmatch any science-fiction book of present writers… The book was written some several hundred years before a visionary writer like Jules Verne and it can be found in the Gutenberg Library here. Just search for the title or the author's name. 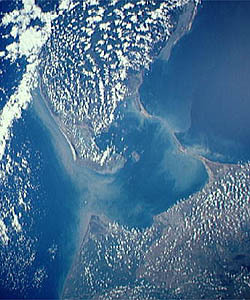 The alleged bridge between India and Sri Lanka mentioned in the Indian epos Ramayana (satellite picture). Certainly, many literary sources contributed to multiplication of interests in lost worlds and Atlantis later became a good source of profit – this mythical and mysterious topic was grasped by clairvoyants and occult movements, either by groups or individuals of the New Age movement, which popularized this “continent”. Occultism and New Age also drew information from the famous Russian clairvoyant – Blavatska, who maintained that people from Atlantis were just a different race on Earth with amazing psychical abilities. However, being corrupted, they changed themselves to bad magicians and started war that resulted in their complete destruction.